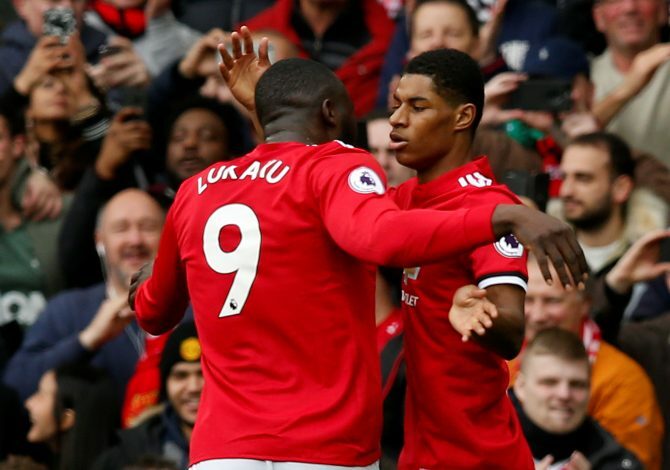 Manchester United forward Marcus Rashford has endured a not-so-impressive start to the 2018-19 season, having scored just twice for the club. Manager Jose Mourinho has handed him just two starts centrally as a striker, and the rest of the matches have seen him be on either flanks, or come on as a substitute. But the youngster is still regarded as the club’s future, and United adore him. There is no doubt regarding Rashford’s potential, and despite him taking time to put in consistent performances, the faith lingers on. Italian club Juventus admire him as well, and are believed to have compiled a dossier for the England international. According to a report in The Times, the Serie A leaders have placed his name on a list of prospective transfer targets. The Italian club is believed to have started making background checks on the player, besides his characteristics. The youngster appeared as a substitute in United’s recent Champions League victory over Juventus in Turin. But the report claims that he was being tracked by the Italian club’s hierarchy even prior to the match. Rashford sees his current deal with the Mancunians running until 2020, although the Red Devils do have the option of extending that to a further 12 months. There is no way Manchester United would accept any offer for the striker. The only way Juve could secure a deal is if Rashford gets unsatisfied at Old Trafford over playing time. Right now, things look bright for United’s academy product, and fans would hope he starts showing more maturity in front of goal.